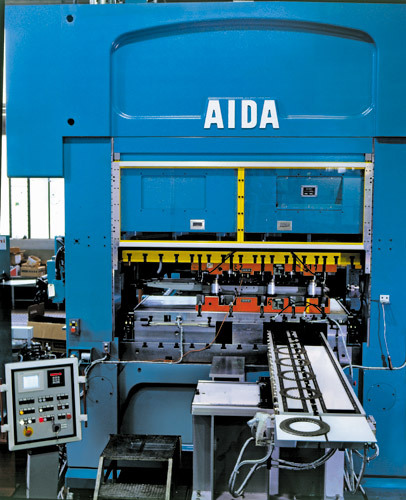 In addition, the AIDA HMX offers dramatic improvements in areas directly linked to your productivity and profits - accuracy, maintenance, reliability and costs. 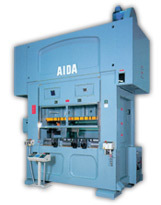 These factors are actually sacrificed by the design of the adjustable stroke presses currently available. 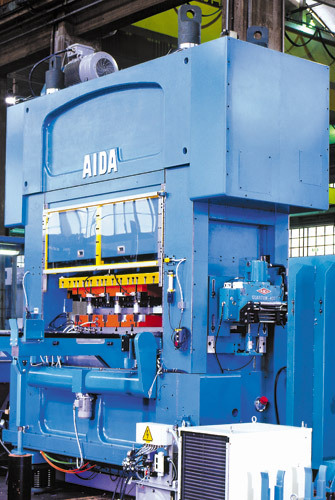 Increased Productivity and Profits With superior construction and the absence of any accuracy-robbing stroke adjustment mechanisms, the HMX delivers unsurpassed accuracy and die life with the lowest deflection characteristics of any available high-speed press. 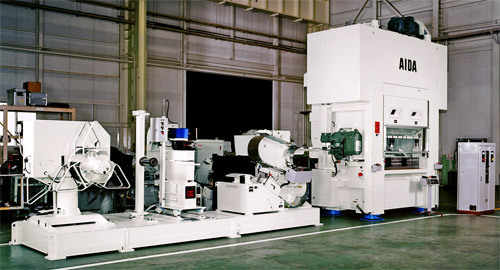 Thermal cooling control ensures that operating temperatures remain consistent for precise BDC control and accurate part production. And by simply eliminating the unnecessary parts required for stroke adjustment, both maintenance and initial costs are significantly reduced. For increased productivity and profits you only need one adjustment. 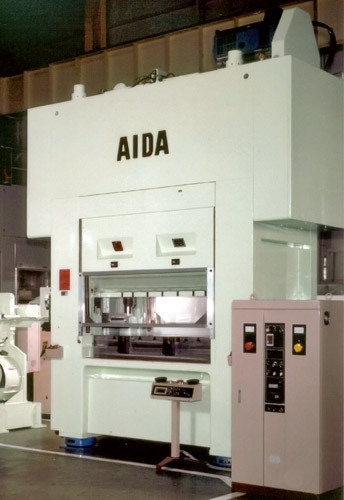 An AIDA HMX. Note 5: The value in ( ) indicates the area for tool change.